The open call is closed! Photonic Moments – Month of Photography festival invites photographers from around the globe to submit their works to the Photonic Moments’ Portfolio Review that will be held in Ljubljana, Slovenia, on 6 and 7 June at the Jakopič Gallery. During two intense days, your work will be evaluated by international team of curators, festival directors, photo editors, gallery owners and publishers through individual 20-minutes face-to-face appointments. The jury will select 40 portfolios to be reviewed from all submitted work. Among those selected, a winner will be chosen by the reviewers on 7 June. The winner will get the opportunity to show his/her work in a solo exhibition during the Photonic Moments festival 2016 and sponsorship in services up to € 1.000 contributed by Studio Okvir! Photonic Moments festival, organised by Photon – Centre for Contemporary Photography, is a member of European Month of Photography association. Any professional photographer/artist from around the globe can submit his/her work, yet he/she must be committed to travel to Ljubljana, Slovenia, if selected to the second step – portfolio reviews with a team of specialists at the face-to-face meetings on 6 and 7 June 2014. The submission is opened to all themes and styles; however, the jury expects series of photographs and photo-stories (not single images). The candidate must send from 6 to 12 images in total – preferably from at least two different series/photo stories. Images format: 1200 px on the longer side. RGB, JPG only. Files name: Name_SURNAME_Title-of-the-series_01.jpg. For sequencing images, use numbers on the end. Submission must include: CV/biography with maximum 160 words + statement about the series/story maximum 200 words. Deadline for submission: 19 May 2014, 23:59 GMT + 1h. Please, insert all the images in only one folder and then zip the folder with your Name_Surname. The jury will select 40 portfolios to be reviewed from all submitted work. Results will be published on the Festival webpage and also sent by e-mail to the 40 selected photographers by 23 May 2014. *If the payment won’t be done until the deadline (without previous notification or agreement), the organiser of the festival has the right to cancel his/her application and replace him/her with other applicant. We kindly ask selected photographers to send the copies of payment confirmation to our e-mail address. For the ones selected, we will offer a chance to have individual meetings with at least five reviewers. If you have the wish to talk with some specific reviewer, we kindly ask you to let us know when applying. 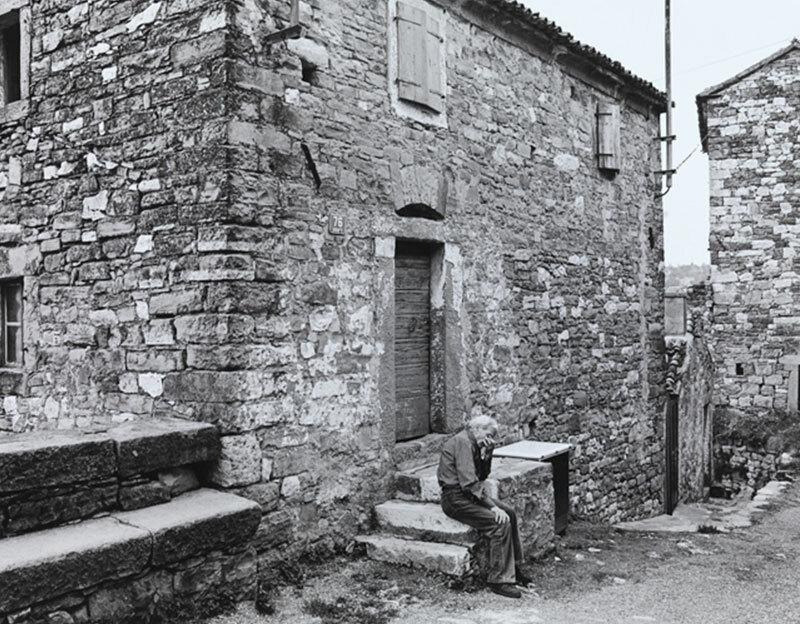 The Portfolio Review will take place in Ljubljana on 6 and 7 June 2014, at Jakopič Gallery, Ljubljana, where the great exhibition Josef Koudelka: Vestiges 1991-2012 will be taking place. Tuula Alajoki, director of Backlight Festival, Finland. She is culture field worker, now mainly concentrating on photography, curating and art management. She has been involved in Tampere based Photographic Centre Nykyaikas´ actions since her graduation as visual artist (fine and media art) in 2001. Backlight Photo Festival has employed her in various positions since 2008. In 2011 she completed her masters degree in Art – Visual culture in Taik/Aalto University. The following year she was assigned to be the project manager and curator for Backlight Photo Festival. She has curated both Finnish and international exhibitions and she works actively to develop art and artists exchanges internationally. She works intentionally between genders and different art institutions, artists groups and individual artists. Giuliana Carbi Jesurun, director of Trieste Contemporanea, Italy. She is art historian and curator based in Trieste. She holds a Ph.D. in history of art. She was professor of history of contemporary art at the University of Trieste up to 1991. She is running the Studio Tommaseo of Trieste since 1981 and is the founder (1995) and president in charge of the Trieste Contemporanea Committee. Since 2003 she has being co-ordinating the CEI Venice Forum for Contemporary Art Curators and the activities of the Continental Breakfast network. Susanne Gamauf, head of Fotogalerie Wien, Austria. She has had numerous international solo and group exhibitions; postgraduate grants from the BMUKK (Ministry of Arts) for Paris, Rome and New York. She has a rich and long history of curating and administrating exhibitions for the Fotogalerie Wien, and other major exhibitions in Austria. She received her arts degree from the University of Applied Arts Vienna (Oswald Oberhuber – graphics, photography). Damir Globočnik, curator at photo-department of Gorenjski muzej, Slovenia. Želimir Koščević, curator and director of Foto-galerija Lang Samobor, Croatia. He is a freelance curator and expert in national and international contemporary art and photography. From 2002, he is program adviser of Foto galerija Lang in Samobor. President of Yugoslav national chapter of AICA (1989-1991), president of ICOM Croatia (1996-2002) and member of ICOM/CIMAM Executive Board (1998-2004). Member of AICA international, ICOM, CIMAM and IKT. He published nine books on Contemporary Art and Photography, and more then 600 published articles, monographs, essays, exhibition catalogues published in his homeland and abroad (Austria, Germany, Denmark, U.S. Hungary, Mexico, U.K., Czech Republic, Holland, Slovakia, Ukraine, Estonia, Sweden, Slovenia). Lives & works in Samobor/Zagreb. Peter Koštrun, professor at Academy of Fine Arts Ljubljana, Slovenia. He is a professor of photography at the Academy of fine Arts and Design, University of Ljubljana. For the last 7 years, he has been working on exploration of education in order to expand opportunities for the younger generations. His teaching is based on mistakes and understanding that Art is not an object but experience. He started his career in documentary photography, continued his exploration in all fields especially portrait, fashion, editorial and advertising. The academic education gives him the opportunity to explore the boundaries of the medium, influenced by classical Painting, Sculpture and Design. After obtaining his diploma, he refuses to work in advertising and starts to concentrate on individual projects connected to his love for nature. From 2003, his works were presented in more then 60 group and solo exhibitions home and abroad. Thomas Licek, director of Eyes-On – Month of Photography festival Vienna, Austria. He is managing Director of Eyes On – Month of Photography Vienna. Working as an Art Manager since 1991 he is organizing this event since its beginning in 2004. Eyes On is held every two years in November and promotes exhibitions in museums, galleries, and art spaces across the city. In 2010 more than 200 photo exhibitions have been on view at over a 150 venues, accompanied by an extensive program of events. Eyes On is part of the European Month of Photography, which aims to boost the international photography scene. Thomas Licek is interested in seeing contemporary work made by young or emerging photographers. Roberto Muffoletto, chief editor of VASA Project, USA. He is founder and director of VASA, an online center for photographic and media studies. He has earned a MFA in Photographic Studies and a Ph.D. in Education. Hi is past founder/director of CEPA Gallery (USA), and past editor for Camera Lucida and Frame|Work. His work is exhibited and collected internationally. Roberto’s most recent books include “Berlin Diary” and “Threshold Crossing”. Fernanda Prado, independent curator and photographer, Slovenia/Brazil. She is independent curator, photo editor, journalist and photographer. From São Paulo, Brazil, she concluded a Master Degree in Photography and worked with photo edition at Valor Economico for many years – the most important Brazilian financial newspaper. Based in Slovenia since 2011, she develops researches on image, photo documentations and articles on photography. She has been exhibiting her work in Brazil and Slovenia and has got the First Award on Reportage on the Slovene EMZIN Fotografia Leta 2014. She has been the coordinator of Photonic Moments Portfolio Review since 2012. Iva Prosoli, curator at Zagreb City Museum, Croatia. She graduated Art History and German Language and Literature at the Faculty of Humanities and Social Sciences, University of Zagreb, where she is currently enrolled in a postgraduate study of art history. From 2003 to 2006 she worked in the Museum of Arts and Crafts, Zagreb, afterwards, for a year in the Tošo Dabac Archive, Museum of Contemporary Art as a curator. Since 2008 she works in the Zagreb City Museum as curator and the Head of Collection of Zagreb photo reporters and as a teaching assistant in the course History of Photography at the Academy of Dramatic Arts in Zagreb. Since 2010 she heads and teaches a course entitled: Photography and artistic practice from the 1960s to today on the graduate level for photography at the same faculty. She has authored a number of texts and exhibitions in the field of photography. Gabriella Uhl, curator in chief of Month of Photography in Budapest, Hungary. She graduated first History and Literature (MA) at the Eötvös Lóránd University in Budapest, writing her PhD thesis about the Central-European baroque literature. She studied economic at the Corvinus (Economical and Technical) University and graduated Art history (MA) at Eötvös Lóránd University in Budapest. She worked as a researcher at the Hungarian Academy of Science afterwards as a chief curator of the Ernst Museum, part of the Art Hall Budapest. She spent four years in Baltic States working as a correspondent of the leading Hungarian art magazines and doing her research on the contemporary Baltic art. She was the curator of the Hungarian Pavilion at Venice Biennale in 2013. She is the chief curator of the Month of Photography festival in Budapest. As a researcher she specialized on the marginal and gypsy art. She is the author of many publications on the contemporary Hungarian and Central-European art scene. Filip Vančo, curator and director of Photoport Bratislava, Slovakia. He is a photographer, curator, teacher and gallerist. He completed his Master’s studies at the Department of Visual Media of the Academy of Fine Arts and Design in Bratislava where from 2004 to 2009 he was the head of the legendary Photography Studio. In 1996, he founded the journal PARK (1996 – 2002) and served as its editor in chief. He has been a member of the Photoport civic association and the chief curator of the gallery with the same name since 2006. As curator, he has prepared dozens of photography exhibitions and presentations at home and abroad. He writes about photography, curatorial activities and his own research topics. Portfolio reviews are great opportunity to present your work to influential members of international photographic community. It’s an important moment to engage on a critical discussion about a body of work. Photographers receive critical reflection and advice about their portfolios, with invaluable feedback on their development and also expanding professional network. Photonic Moments will present number of photographic and related exhibitions with extensive accompanying program. Objectives of the event are to research, present and promote various practices of contemporary photography, both local as well as international, to broader public. The value of photography as autonomous medium within the field of contemporary visual art is ever-increasing in past 20 years encouraging artists to develop new forms of expression. Following the up-to-date tendencies, the Festival is striving to support original and innovative artistic approaches. Festival’s programme is focused mostly on the presentations of photographic endeavour from the broader region of Central and South-eastern Europe, however, it will also present artists from broader international context. 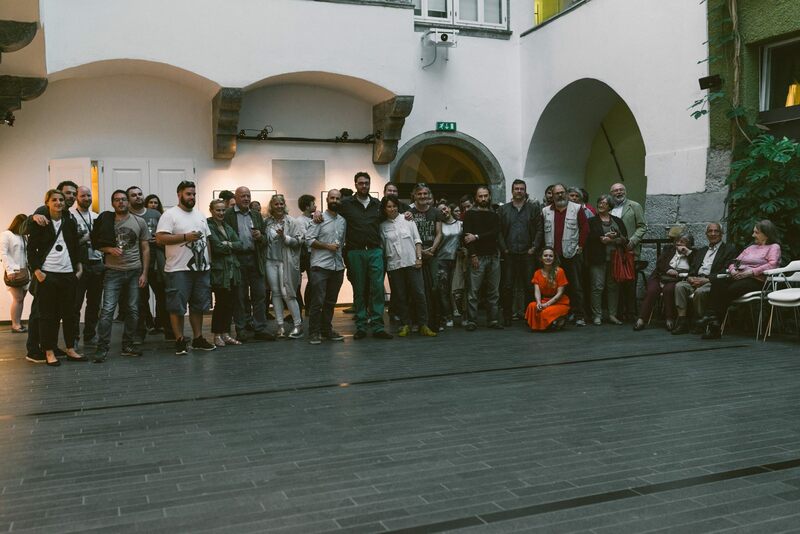 Main venues of 2014′s festival are Museums and Galleries of Ljubljana, LP bar & ZRC Atrium and Photon – Centre of Contemporary Photography as well as other partner venues, galleries, project spaces and temporary exhibition venues. Photonic Moments festival is a member of international association European Month of Photography (EMOP), a network connecting number of European photo festivals into common platform since 2004. The members are Berlin, Bratislava, Budapest, Ljubljana, Luxembourg, Paris and Vienna. This year’s Festival’s edition will witness over 25 exhibitions and related events, organised by Photon and number of its co-producers, festival’s partners ranging from public institutions to non-profit organisations and individuals who will contribute fragments to the programme of a month long and extensive festival. Download the PDF Photonic Moments – portfolio review – announcement here to have all information you need to submit your work.